Critics of the Joint Strike Fighter are having a rough year. The arguments and claims they have continually put forth as fact are getting shot down one after the other. This is becoming something of a weekly happening. Those who hung their hat on these often frivolous claims are far from worried, as a new program will one day arrive, and their game can begin anew. One of the few remaining legs of the multi-pronged attack on the JSF just took a hit. Several critics screamed to the heavens across the interwebs about wing drop. What few of these critics, if any, realized is that wing drop is not something that can be eliminated, only mitigated. Flight does not take place in a hypothetical vacuum, so wing drop will be an issue that continues to arise as long as man takes to the skies. Entertainingly, wing drop was a major issue for the platform critics often suggest should be purchased in lieu of the F-35C. That platform is the F-18 E/F. Wing drop was such a serious issue during the development of Super Hornet, that the Navy turned to NASA for assistance. Three thousand hours of wind tunnel testing, scaled model flights, and flight testing were undertaken to deal with this issue. Obviously, admitting this fast fact would do little to further the agenda of critics. For truly interesting reading, here is a relevant study. 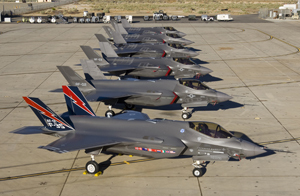 In earlier days, during the JSF System Development and Demonstration (SDD) phase, Lockheed Martin took preemptive corrective action. Additional spoilers, like that seen in the photo below, were added. 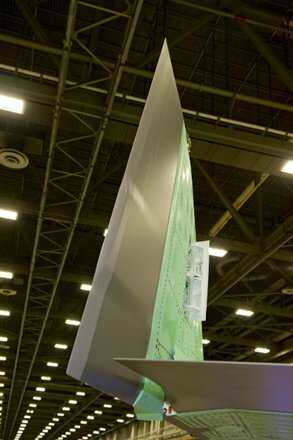 These were added to mitigate potential wing drop during flight testing. Its worth pointing out, these were never used. Modern aircraft rely heavily on software. Software can make, or break a platform. Lockheed, using recently written flight control algorithms, which were tested in the transsonic envelope where wing drop occurs, found a solution. Is wing drop now impossible? Of course not. Elimination of wing drop is impossible, but it has been mitigated. 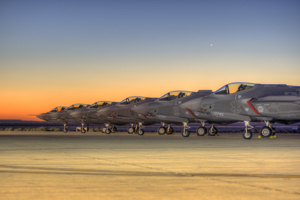 As has been seen throughout the JSF program, a problem was identified, and then addressed. If only critics would address their misplaced outrage over F-35 wing drop, and lack of outrage over F-18 E/F wing drop. ~ by arcturus415 on August 13, 2013.